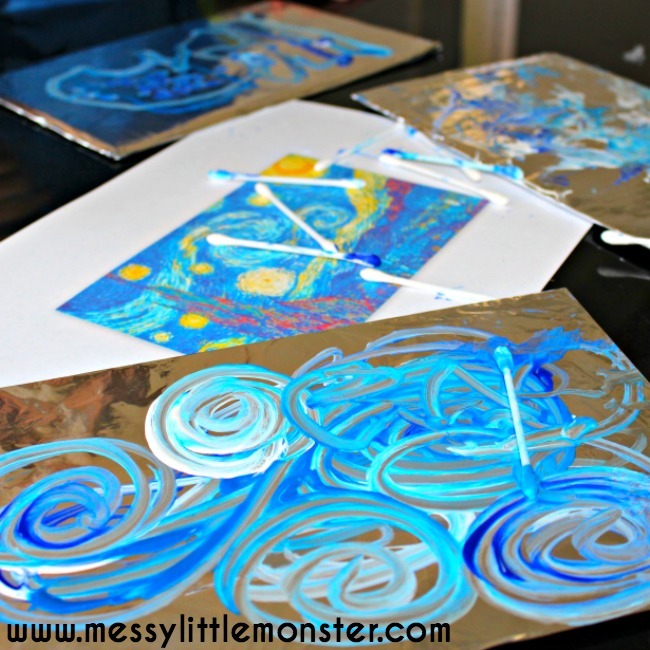 Painting on foil is an easy process art idea for kids thats perfect for the Winter months. 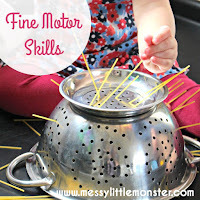 This activity is great for toddlers and preschoolers working on fine motor skills and colour mixing. For this art technique we used cotton buds (Q tips) as paint brushes. 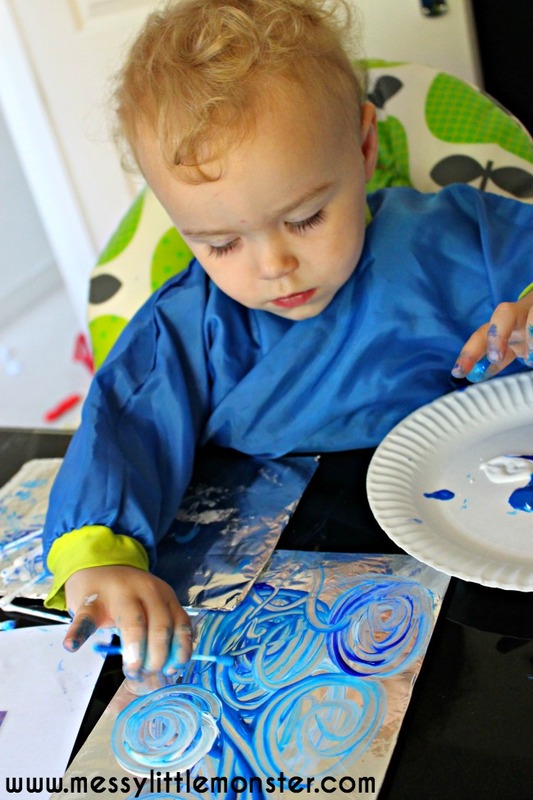 Inspired by Van Gogh's paintings we used different shades of blue and explored swirling the paint around the foil which gives the artwork a real Winter feel. 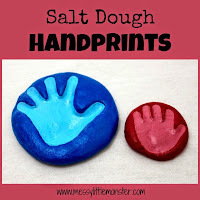 Looking for more fun art ideas? 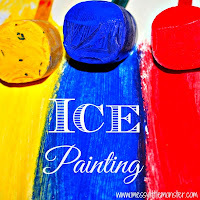 Take a look at our taste safe ice paint, snowy puffy paint and water pistol painting. 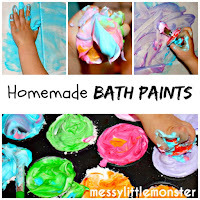 This painting activity works on so many skills for young children. 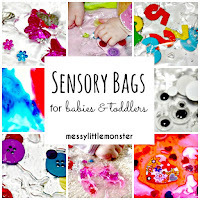 Toddlers and preschoolers are able to work on fine motor skills, learn about an artist, explore colour mixing and experiment with a new media. 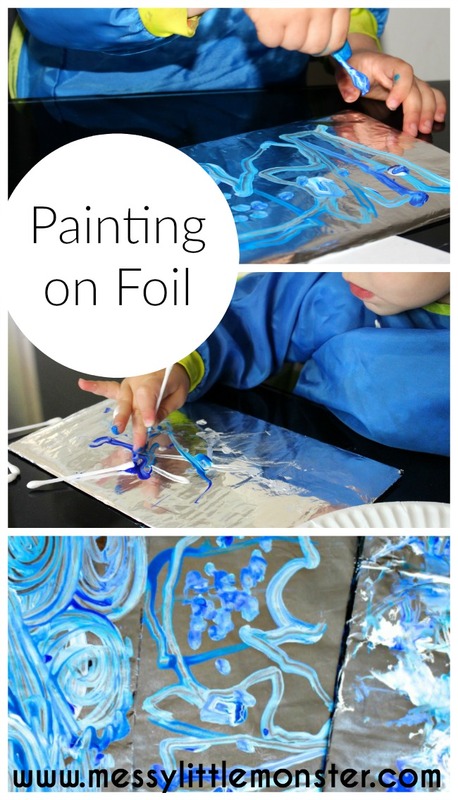 I love the use of blue and white on the foil and think that this artwork would be great for a Winter theme. 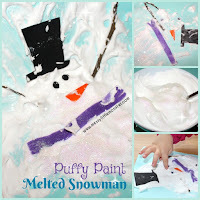 We have lots more winter themed ideas here. We are loving our exploring famous artists series this month and todays painting activity was inspired by the painting 'Starry night' by Van Gogh. Using different shades of blue and white on a foil background really helps to create the swirly effect in Van Gogh's Painting 'Starry Night'. 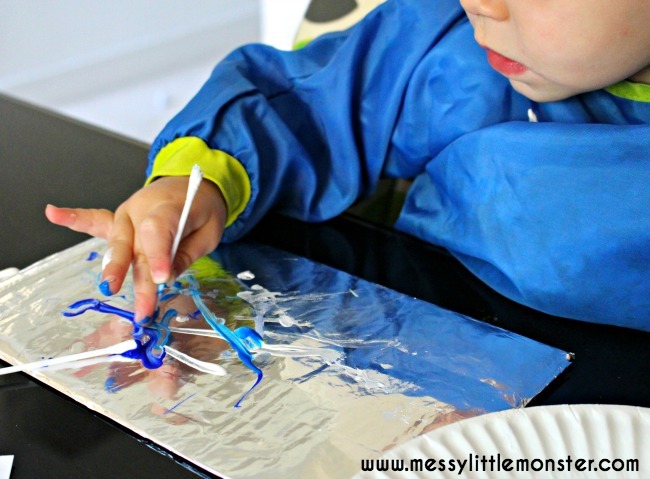 TIPS: A few people have asked if the paint flakes off the foil once it is dry. It does after a while. 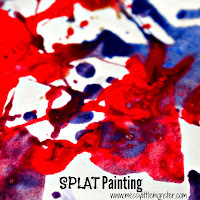 If you want to avoid this so you can keep the artwork add a drop of washing up liquid (dish soap) to the paint or use acrylic paint (not recommend with small children). Another option is to take a print of the artwork by placing a piece of paper on the top of the completed design and pressing it down, when you remove the paper you will be left with a print of your design. However I personally think the best way of 'keeping' the artwork is to photograph it. 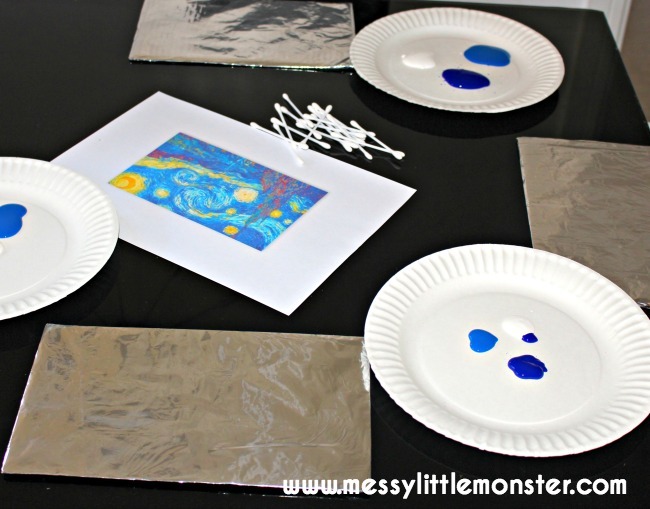 We set up our foil canvases by covering a piece of cardboard in foil and taping it in place on the back. 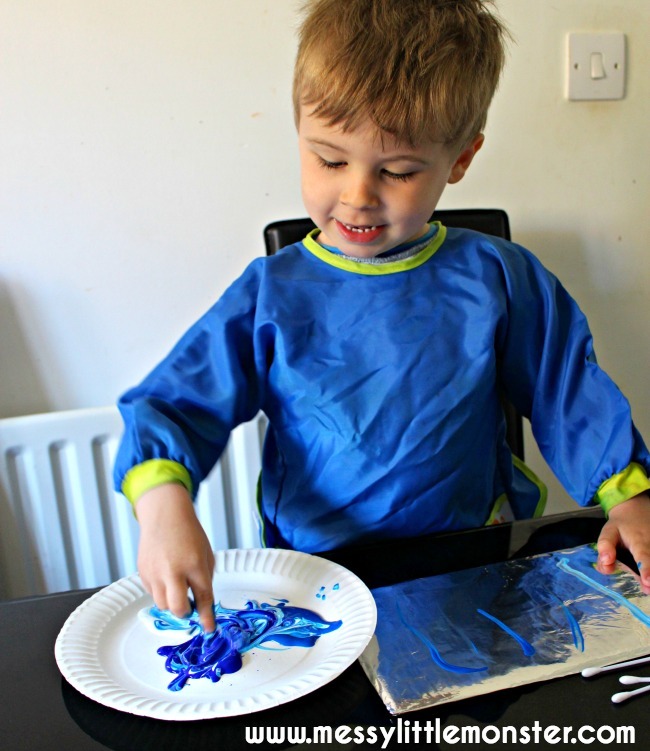 We squirted our blue and white paint onto a paper plate and took a look at Van Gogh's 'Starry Night' image for inspiration. 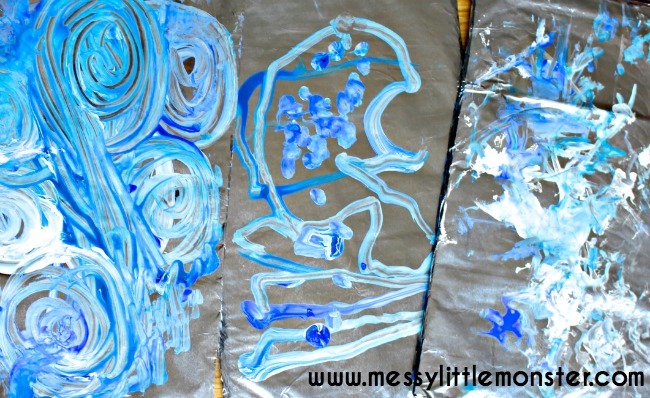 We looked at the different shades of blue and the swirls and brush strokes. Then we were ready to get painting. Daisy (21months) got stuck straight in. She picked up a cotton bud straight away and dipped it into the paint. I thought she might choose to use her fingers but she really enjoyed 'being grown up' and using the cotton buds like everyone else. I had a go at swirling some paint around to encourage Daisy and before long she decided that she would prefer to work on my painting than her own. Harry looked at the 'Starry Night' painting and had a go at recreating some of the small brush strokes. He then used his cotton bud to make some large swirly shapes around his foil. 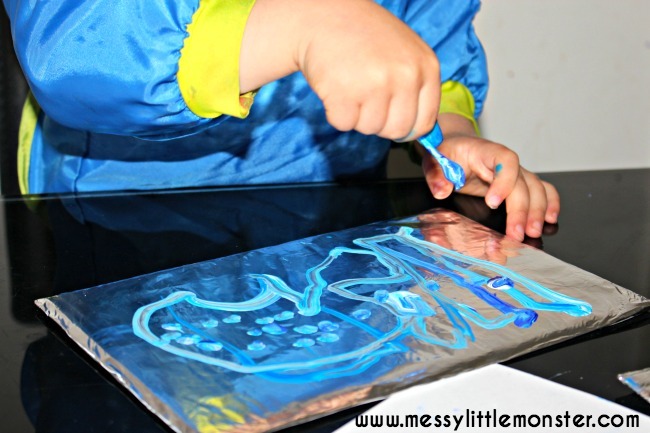 Harry enjoyed mixing the paints together and pointed out that he could make is own swirly sky on the paper plate by mixing the colours together. He loved seeing the different shades of blue that he could make. This activity was easy to set up using items we had at home and each piece of artwork was unique. Subscribe to our youtube channel to see more of our activities. 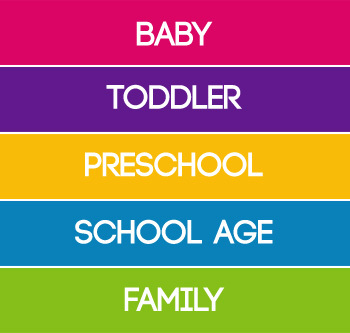 Follow us on Facebook, Pinterest, Twitter, Instagram or Subscribe for free email updates. What paint did you use!? Yes it does and you can keep the artwork. If you wrap the foil around card it will help it last a bit longer. I kept ours for a couple of days and they were fine but if you wanted them to last for a long time I couldn't say for sure. My guess is that the paint may flake off if they were moved or knocked. Its a really fun activity to do though even if the artwork doesn't last. You could always take a photo of their paintings? Could you spray the painting with a clear coat or even hair spray(use this often in my elementary classroom) to make the painting more resilient and "permanent"? 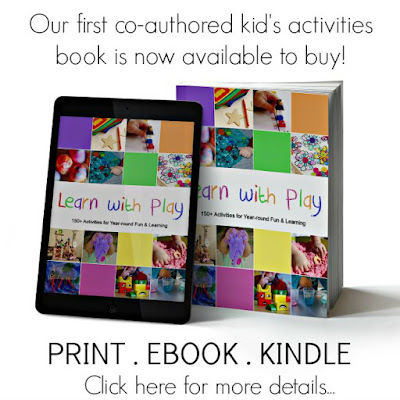 I did not see any mention of this..... and would like to try this with my class of students with autism. I'm not sure Susan, I haven't tried this. 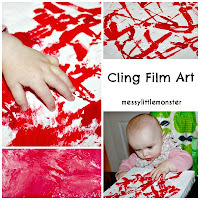 Using acrylic paint will stop it chipping or maybe just enjoy the process and take a photo or print of the artwork? Really acrylic paint would be a permanent fix, but have very little of it in the elementary classroom... too expensive for my little kiddos but we sure love to paint with tempera! 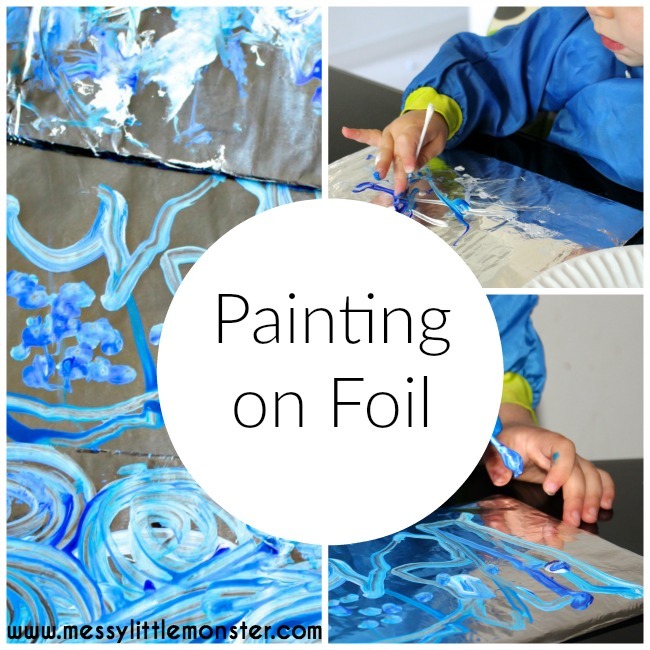 I think I will have my kiddos make prints of their foil paintings on dark blue or black paper, and we will learn about Starry Night and Van Gogh in the process - they love to see things on the white board via the projector! Your idea sounds lovely Susan. Hi there! If you mix regular blue Dawn dish soap with your paint, it is supposed to keep the paint from chipping. Don't be shy with the soap! I did it before and it worked well! Thats a fab tip, thank you! I think you could laminate the foil, that way the paint can't chip. ohhh thats a good idea. I will have to try it. Or maybe wrap the painting (on card) in plastic wrap to prevent chipping? Thanks for your suggestion Tracy. Or you could wrap the painting (on card) carefully with plastic wrap -when dry- to prevent chipping? I didn't read through the comments but I was wondering if you could just transfer to a piece of paper. 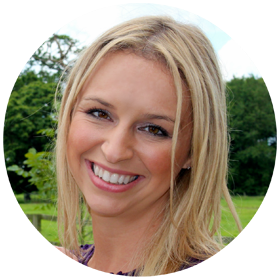 Anyway I love your creative ideas and I love more that you are so generous of your time to share them. You are a good Mommy. Your family is so Blessed to have you. Awww thank you so much Lynne, what a lovely thing to say. Printing the design onto a piece of paper is a great idea if you want to keep the artwork.